The city is looking to crack down on vacation rentals and hike taxes on skyboxes and car sharing as part of the 2015 budget process. CITY HALL — The city is looking to crack down on vacation rentals and raise taxes on skyboxes and car sharing as part of the 2015 budget process. Budget Director Alexandra Holt presented a series of new tax initiatives before the Finance Committee Monday, including efforts to crack down on vacation rentals that don't collect the city's 4.5 percent hotel tax. "It's very hard to enforce," Holt said, estimating vacation rentals produced just $200,000 in annual tax revenues. 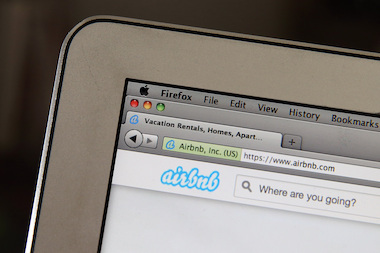 The new proposal would place the onus on online firms like Airbnb to collect the tax on vacation rentals arranged through their websites. Holt estimated it would add $1 million in tax revenue, even as it would remain hard to collect from homeowners arranging their own vacation rentals. Budget Director Alexandra Holt (r.) says, "It's very hard to enforce" the hotel tax on vacation rentals. The committee backed all of Holt's new proposals without opposition, including imposing the 9 percent amusement tax on the full value of skyboxes, instead of the current 60 percent of value. The new measures would also end an exemption on the 9 percent lease tax enjoyed by car-sharing firms like ZipCar and IGO. Holt said those companies enjoyed the exemption when the industry was young and being led by "small, not-for-profit" operations, which she said is "no longer the case." Holt pointed to how ZipCar is now part of Avis, while IGO is part of Enterprise car rentals. Holt estimated the lease tax on car sharing would produce $1 million, with $4.4 million for ending the skybox exemption. Holt also proposed closing a sales-tax loophole on purchases Chicagoans make outside the city, to the tune of an additional $17 million, and a hike in the lease tax for software and office equipment, which would produce $15 million. The total annual value of the tax changes, including the previously addressed phaseout of the cable-television exemption and an increase in the garage tax, was put at $62 million. Patrick Doerr, managing director of the Hospitality Business Association of Chicago, representing small businesses in the industry, backed the tax increases as a "pretty solid idea" and said restaurants are generally "on board" with it, but he sought "clear guidance" on whether the skybox amusement tax would apply to events like New Year's Eve and Halloween parties. Doerr said city audits had sometimes subjected restaurants to those additional amusement taxes, adding, "We're kind of in limbo as locally owned small businesses." Those issues remained to be clarified. 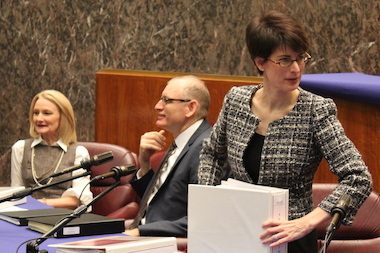 Doerr said the amusement tax could also be interpreted as applying to bars and restaurants advertising, for instance, a televised Bears playoff game. "We have time to work on that issue," he added, to general laughter the morning after the Bears absorbed a 55-14 pasting in Green Bay to all but eliminate them from playoff contention. The full City Council is expected to pass the 2015 budget Wednesday.